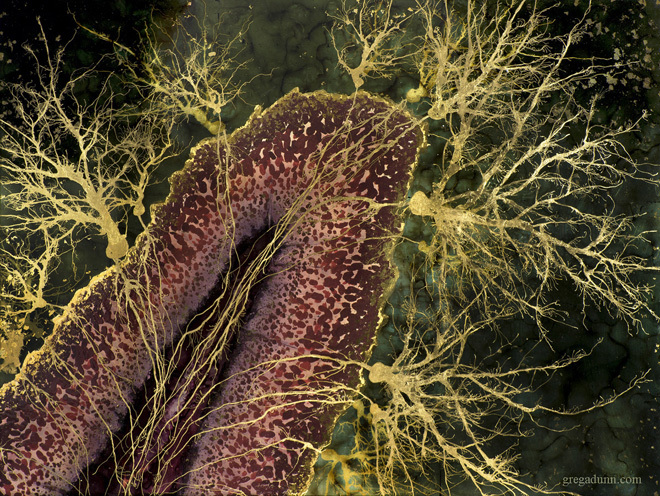 Greg Dunn swapped the life of a scientist for that of artist when he finished his Ph.D. in neuroscience at Penn in 2011. 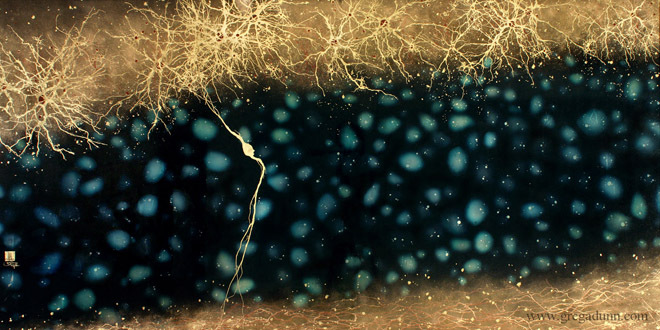 He has sold commissioned works to research labs and hospitals, and he says his prints are popular with neuroscientists, neurologists, and others with a special interest in the brain, including people with neurodegenerative disorders. 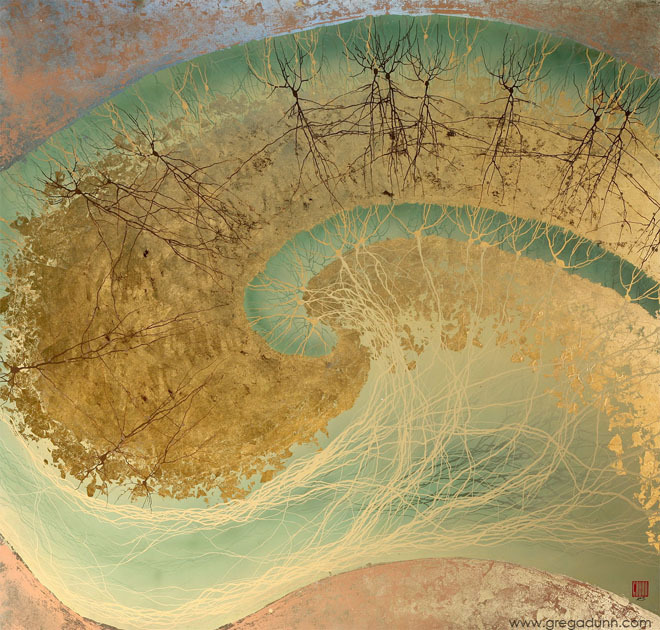 This painting shows the developing human cerebral cortex, at about week 15 of gestation.